Feb 20, 2017; by Briana McDonald; (UtopiaSilver.com) One in four men over the age of 30 will notice a dip in their testosterone levels; this is known as “Hypogoadism” or “low T”. As men age, testosterone levels will decrease and can increase the risk of health issues such as heart problems, depression, osteoporosis and dementia. 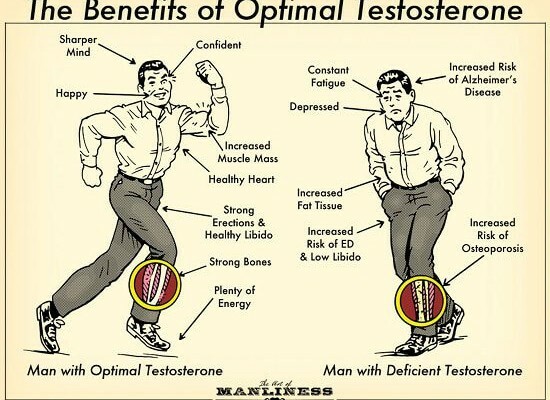 You can supercharge your body by boosting testosterone naturally by making some simple lifestyle changes, incorporating a few supplements, and having a balanced diet.